This is the Lite version of Nero 9 normally supplied with a new writer or PC. Some of the programs are trial versions but the main programs that copy or compile data disks are fully functional with no time limit. 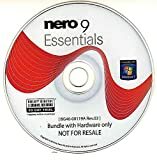 This entry was posted in Software and tagged Essentials, Nero by Computer Education World. Bookmark the permalink.